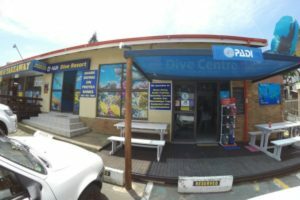 Protea Banks Dive Equipment - Shark Diving at it's best. Shark Diving Protea Banks. African Dive Adventures operates 3 Ribs. 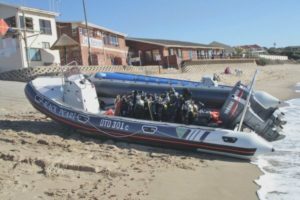 African Dive Adventures operates 3 Ribs ( ridged inflatable boat ) and can accommodate 30 divers at a time. 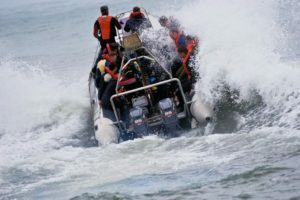 Each boat is licensed for 10 passengers plus two staff. The skippers that will take you out to the reef are all well experienced and SAMSA certified. 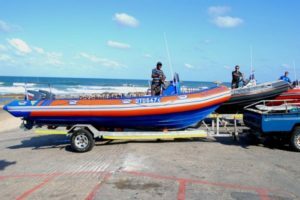 ( South African Maritime Safety Authority ) These boats all carry oxygen and the relevant safety equipment like distress flares, lifejackets, spares and tools. All boats carry a Seaworthy Certificate that is has to be renewed on an annual basis. 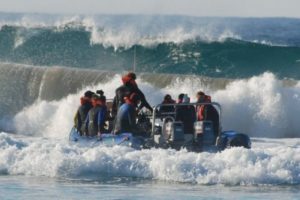 Each of our boats is fitted with 2 x 85HP Yamaha outboard motors which give us the speed and power to safely navigate our way through the surf. All motors are kept in top mechanical condition at all times. Every time a boat leaves the harbour, it gets fully refuelled to 100l. This is more than twice as much as needed. Nothing is left to chance. Man and machine must always perform best. After a stunt at Barra Lodge, Mozambique we settled back in Shelly Beach diving Protea Banks. In 2003 we had the Southern Comfort built. A bit smaller than the other boats, therefore a bit faster and a nice wave rider. In 2005 we stumbled across The Protea Banks. We didn't really need three boats at that time but she was offered to us on such good terms that we could not refuse her. 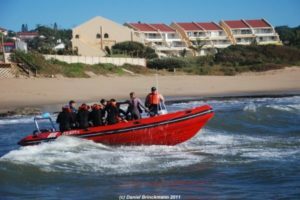 The Protea Banks is a wide boat which allows plenty of space but due to its shallow draft it tends to bang quite a bit in rough seas. At the moment this boat has been decommissioned and has been replaced by the Avatar. The Avatar is the latest addition to our fleet. She is also the longest of our ribs at 8.2m which makes her very comfortable for our passengers and safe to drive for our skippers. Two brand new 85's ensure a safe launch and a pleasant voyage even in rough seas. 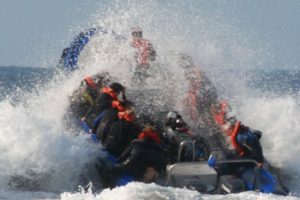 The extra space makes a huge difference especially during the Sardine Run when divers are on the boat all day. Also for our Baited Tiger Shark Dive with all the bait, baiting station, cables etc the extra space is most pleasant. 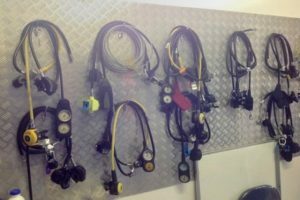 Divers can actually spread out, have space for drybags, towels, snacks and much more. We have a special camera rack built which bolts on to the dive rack and accommodates any number and any size cameras including all extras. 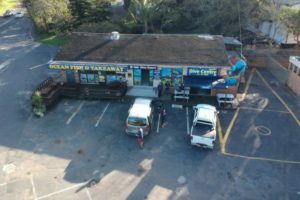 For almost ten years we had our store- and compressor room right in the harbour of Shelly Beach. It was practical to have everything on hand including diving equipment, airfills and our freezers for the bait, but besides this , the store did not do much more for us. 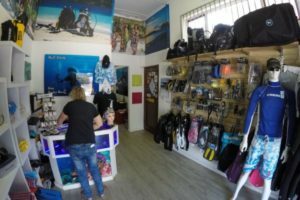 Since December 2014 we now have a proper dive shop and a base where we meet our divers, where we belong. To us it feels like a fresh wind is blowing off the cobwebs of African Dive Adventures. 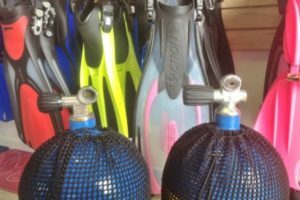 Although the actual shop is very small, it is definitely a fine place where divers find everything they could ask for. Our emphasis lies on quality rather than price, yet everything is affordable. We now meet our divers at the shop at 6h45 and start the day with a cup of coffee. 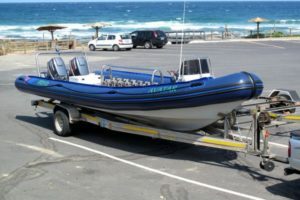 Then we sort out all the admin and equipment requirements before we make our way to the harbour of Shelly Beach where we meet our staff and the ready warmed up boat at our usual place under the shade port. 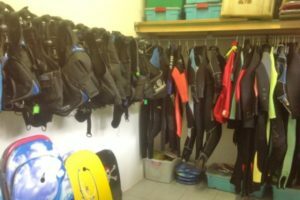 Our storeroom at the Shelly Beach Ski Boat Club houses everything we need for diving.